ONLY INTERESTED IN DEALING LOCALLY. I am located in Toronto, Canada. I will only consider dealing with buyers in the Ontario region. OK. I've decided to sell my Custom BT because my older cousin has offered to get me a Delta Elite for my belated birthday. I've had the marker for about 4-5 months. And have maintained it very well. The internals are polished, and oiled regularly. Amazing condition, only shot once. 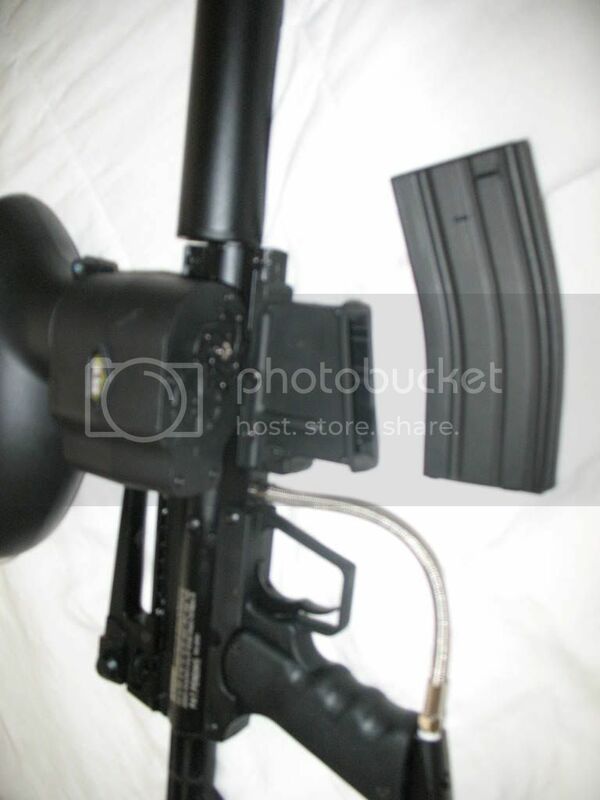 Comes with the rather large Tippmann barrel condom meant for it. Comes with original box, and battery. THIS IS AN INCREDIBLE PRODUCT. It's basically a Halo for your scenario marker (And, it is indeed designed by Halo.) Comes with Original box, and intructions. MINT condition, only used once. I'm only selling because the Delta Elite comes with one. Not much to say, came with the stock Assault. Comes with an adapting picatinny rail. - Again not much to say. Sturdy as hell, comfortable. 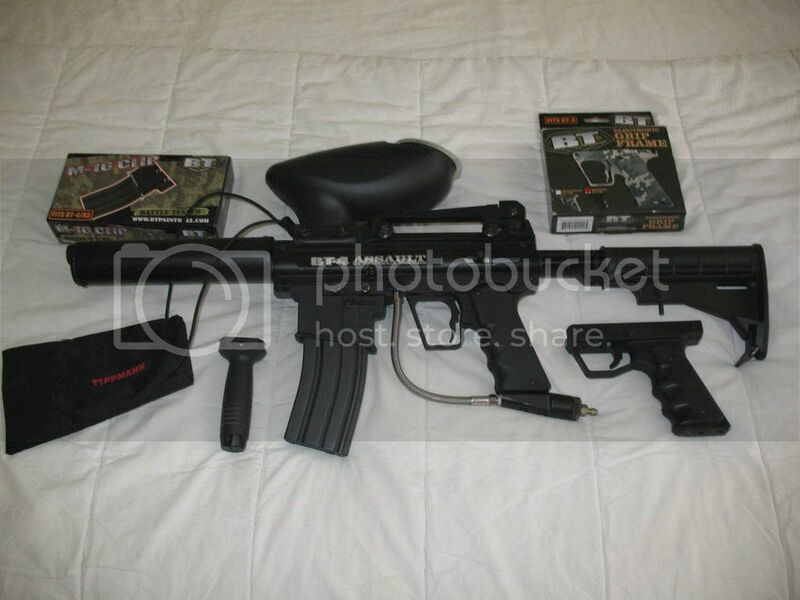 - Also comes with the original foregrip, to exchange with the Mag Kit. Everything comes with the Original box, including the marker. Looking for about $400, but throw offers at me, the worst I can do is say no. But please, no lowballing. Next up we have a Tiberius Tac 8 pistol. 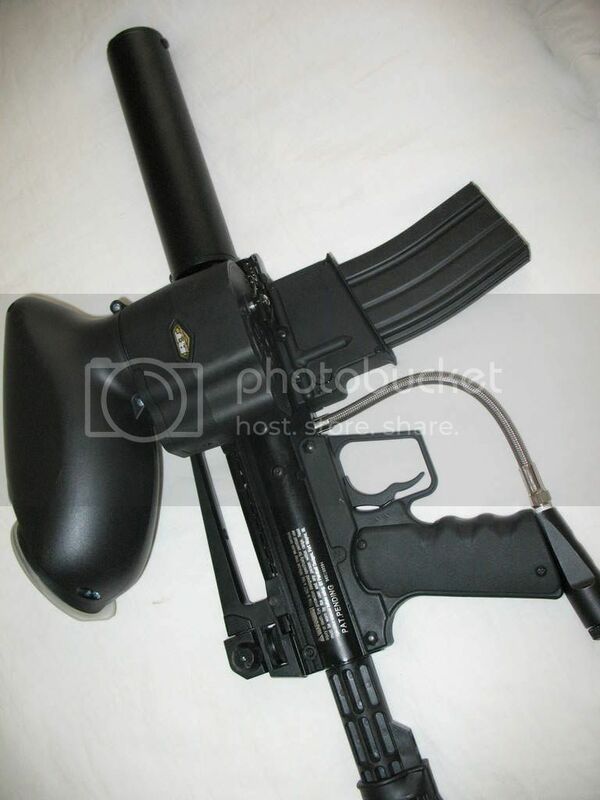 Not much to say, regular black Tac 8. Comes with one magazine, and a hard carry case + manual. Great condition, just a couple of regular wear marks from the usual woodsball play. Looking for no less than $200. TRADES: ANY size good condition iPod Touch. I DO NOT HAVE PICTURES OF THE TIBERIUS RIGHT NOW, BECAUSE IT IS AT MY TEAMMATES HOUSE. I'm not sure if I'm allowed to sell something with no pictures, but I will state this: If I do find a buyer, I do not mind holding it for you until I can get pictures. I'm trying to get them ASAP. Message/email (screw123you@hotmail.com) me for questions/offers.